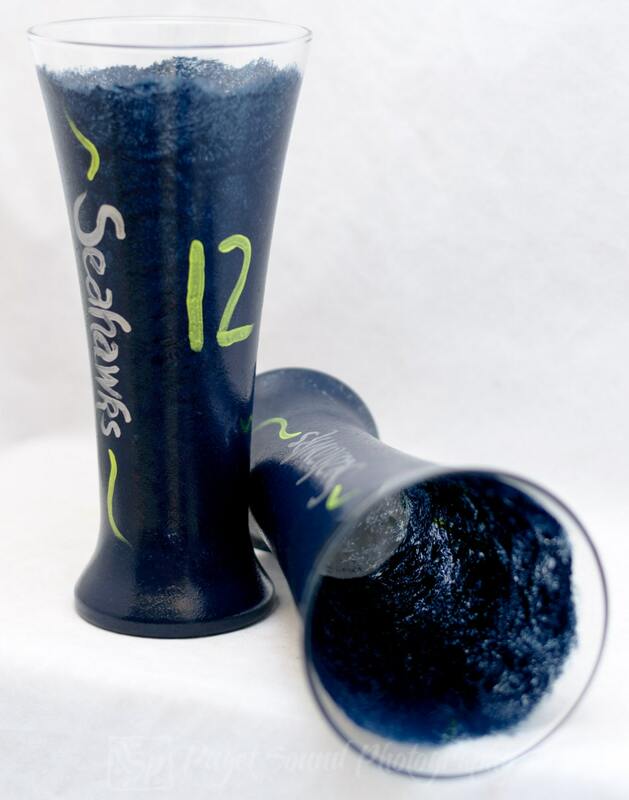 20 oz - Beer Glasses Lagers - Seahawks™ Design This design is inspired by the Seattle Seahawks™. The lagers glass shape locks in carbonation so you can watch more bubbles float up the tall glass to enjoy a cold beverage with a friend. 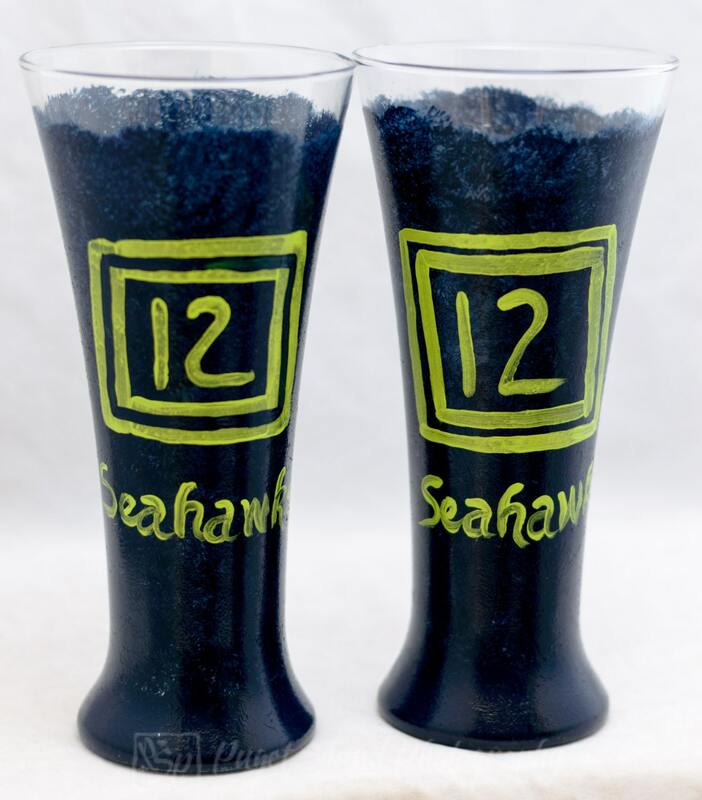 The form of the glasses fit nicely in your hand and have topple-resistant bottoms to prevent spills. 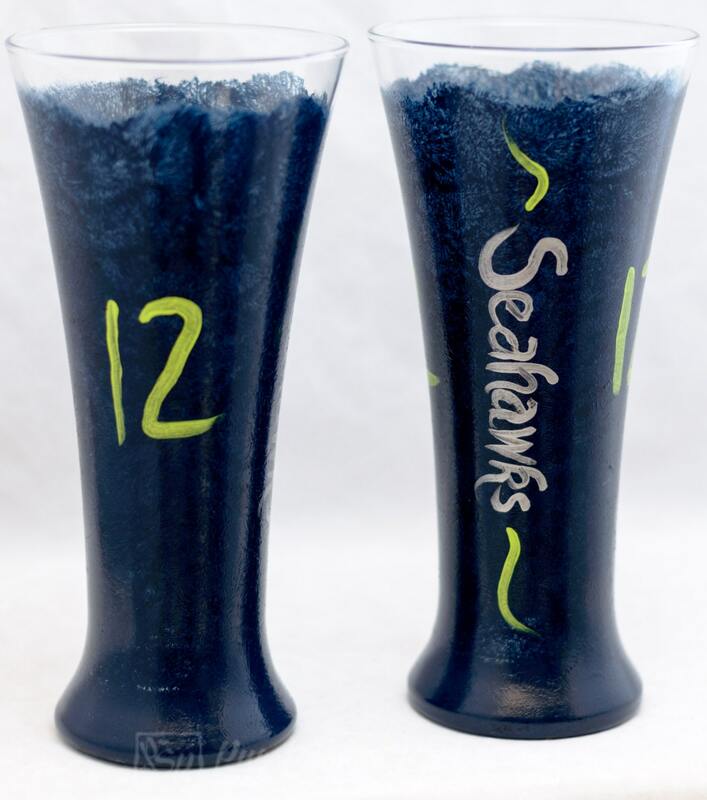 Each have distinct Seattle Seahawks™ colors and is signed by American Artist Penny Russell. 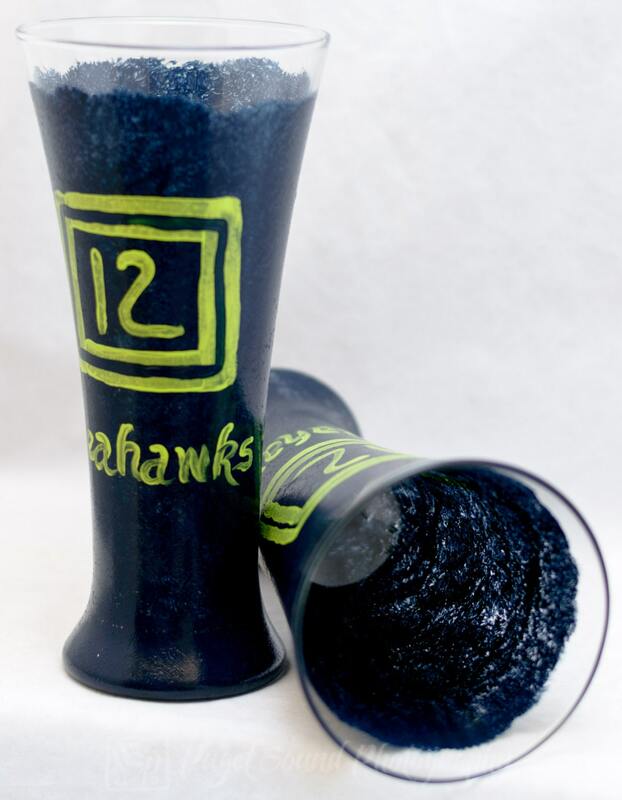 The glasses are 100% hand-painted using quality acrylic enamel paints and are cured resulting in a scratch-resistant, high-gloss finish. Please hand wash only to preserve quality.